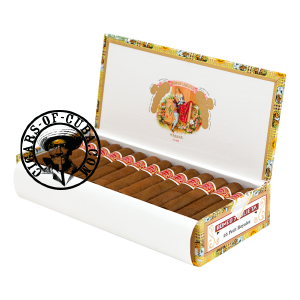 This small Cuban is packed of typical flavors from Romeo y Julieta. Ample smoke is produced giving a pleasant draw which vouches for the good construction. This medium strength Cuban cigar is great for new comers, it might be a little young for experienced palate.